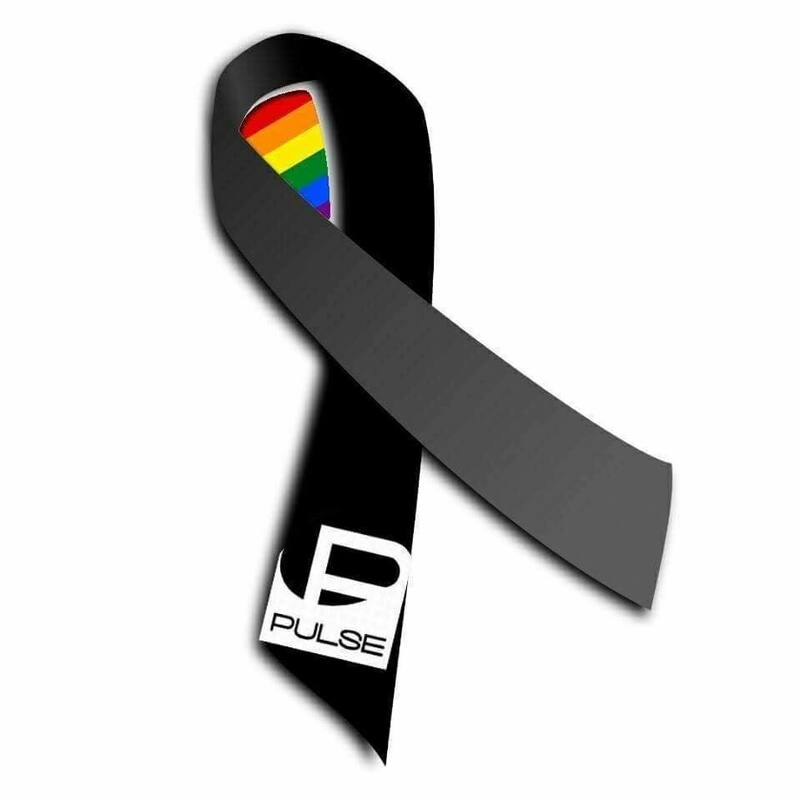 I was annoyed early on in the coverage of the Orlando Pulse nightclub shooting that news sites and individuals on social media all kept claiming that the hate crime was the largest mass shooting in U.S. history. The first reason it annoyed me was because the Wounded Knee Massacre on December 29, 1890 was much bigger. About 300 Lakota men, women, and children were shot to death that day. I understand why no politician alive today wants to acknowledge that. It was the U.S. Army that did the deed, and there is political hay to be made by insisting that it was a battle rather than a war crime, even now 126 years later. Similarly, the Sand Creek Massacre of November 29, 1864 was also a lot bigger than the Orlando shooting: between 70-163 Cheyenne and Arapahoe men women and children were slaughtered. Again, modern politicians don’t want to talk about it, and certainly don’t want to admit it was a crime, rather than a battle. That’s not the only thing about this horrific crime that brings out my pedantic tendencies. There has also been a lot of debate about whether this is an act of terrorism or a hate crime. As one friend put it: since the earliest reports that had virtually no details called the attack on a gay nightclub a possible terrorist attack, we knew that that shooter wasn’t white. That’s a not-facetious observation of the systemic racism of police officials everywhere, but there is another serious point, here. A lot of people outside the police want to transform this event into an act of terrorism against America, rather than recognize that the native born American man who decided to slaughter 50 queers in a queer club on a Saturday night during Pride month is a hate crime against the gay community. As another friend pointed out, all hate crime is meant to terrorize. That’s true. That is the moral and legal justification given for even recognizing hate crime as a category of crime. The intent of the criminal isn’t just to harm the person or persons directly attacked, the intent is to frighten similar people. In this case, to put all queer people on notice that there are people out there who will gladly murder us just for being who we are. And literally for as long as humans have had laws (going back to ancient Sumeria at least! ), we have always used the person’s intent as one of the ways to gauge the severity of the crime (cf. the only difference between murder in the second degree and not-guilty by reason of self-defense is the intent of the killer, nothing else). Of course the politicians and so-called religious leaders who have been trying to deny queer people civil rights, objecting to our lives being even acknowledged, have said that we are immoral and dangerous, and so on want to erase us from this tragedy. They have many reasons for this. The most basic is that they just want to erase us, period, of course. But an even bigger reason they want to erase us is because they don’t want to admit that they have contributed to this crime. Every time they say that it is dangerous for kids to even see us, every time they say we are a danger to children just by being in a public restroom, every time they say that god is going to judge America for giving us some rights, every time they say queers are “ultimately destructive to society,” it encourages hatred and violence toward us. Some religious leaders get it: Florida Catholic bishop: ‘It is religion, including our own,’ that targets LGBT people. And thank you, Bishop Lynch for at least admitting that. But what are you going to do about it? Others are trying to focus on the shooter’s claims of doing this for the Islamic State. They conveniently want to overlook the fact that this young man was born in New York and grew up here in America. They ignore the fact that the leaders of ISIS long ago said anyone who wants to commit an act of terror in their name doesn’t need to ask permission, and that they will gladly take credit for anything that gets them in a headline, whether they actually had anything to do with it beforehand. This also, once again, conveniently elides over the fact that American evangelical fundamentalist Christians are no less hateful toward queers than radical fundamentalist muslim terrorists: Christian Pastor Celebrates Nightclub Massacre: “There’s 50 Less Pedophiles in This World”. The problem isn’t the Islam or Christianity per se, it is the fundamentalism that’s the problem. The extensive record of radical American Christians preaching hatred for queers is there for all to see. We can do something about all of those things, even though it won’t be easy. The first requires everyone who doesn’t think queers are evil to confront your elected officials and religious leaders and others during the rest of the year when they make their usual arguments about us. If you’re Christian, tell these other people that they do not speak for you. Make yourself heard. Yes, it means uncomfortably calling out friends and family, sometimes, but we’re not talking about a disagreement over sports teams, we’re talking about the life and death of real people. The second one is big and complex, but not intractable. First, just let boys be. Speak up when you hear someone tell a boy that he can’t play with that toy because it’s a girls’ toy, for instance. The last one is difficult to tackle because one particular lobbying group has managed to delude a sizeable fraction of the public into believing that the only thing any of us mean when we say we want to deal with that is a total ban on all guns. Yesterday I made an analogy between the way we used to say that drunk driving was just as impossible to do anything about as gun violence, and how we have since proven that assertion false. A big part of the change that happened in the drunk driving debate was that we allowed a national bureau to compile nation wide statistics on alcohol-related car accidents. So the very minimum that we should do (and there is no excuse not to) is to lift the legal ban on studying gun violence as a public health issue. Studying drunk driving led people to think of options that had never even been discussed before; options that worked. Let us study it, at the very least! And let the Bureau of Alcohol, Tobacco, Firearms and Explosives use modern data tacking methods, for goodness sake! Give us the tools to try to figure out how guns fall out of the legal sales system. Maybe 90% of the population (and a bigger percentage of the experts) are wrong that closing the gun show loophole and a couple of other measures that my NRA friends get foaming at the mouth over. The truth is that you don’t know we’re wrong, and can’t prove we’re wrong because you’ve made it illegal to study and compile the statistics. Maybe a measure like the Texas law that penalizes people for not promptly reporting the theft of a gun will deter illegal gun trafficking, maybe it won’t. We can’t know until we’re allowed to study it. And I’m sorry, I don’t often invoke Ronald Reagan, but sometimes he was right: “I do not believe in taking away the right of the citizen for sporting, for hunting and so forth, or for home defense. But I do believe that an AK-47, a machine gun, is not a sporting weapon or needed for defense of a home.” Since this post started out about being pedantic, his terminology was a bit off, but Reagan believed then, and at least 58% of Americans agree with him now, that assault weapons should be banned outright, just as we already ban bombs, grenades, rockets, missiles, and mines. If a civilization requires everyone to be armed and constantly prepared to kill other people, that isn’t civilization. I’ve ranted enough today. This isn’t just about problems and solutions. This is a human disaster, and real humans died, and many more real humans are hurt and in fear. 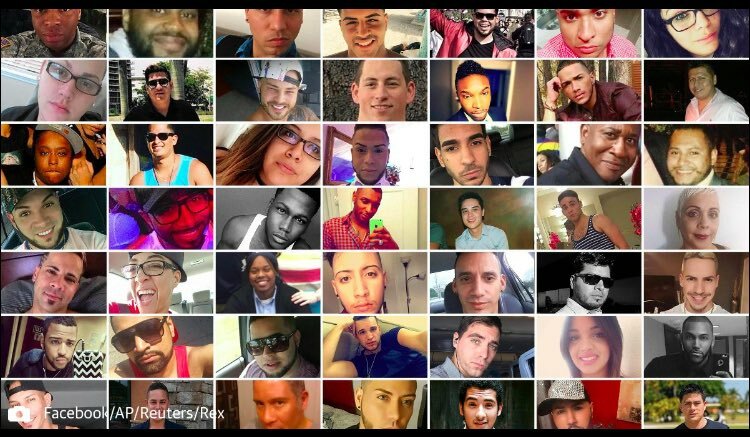 If we forget that, we stop being human: CNN’s Anderson Cooper Fights Back Tears Reading Orlando Victim Names.